Nunca Menos de 6 meses Más de 6 meses ¿Por cuánto tiempo ha funcionado esta pieza sin problemas? 3Com ABIT Acer Acros Adaptec Agfa AIC AIPTEK AIWA Alcatel Alienware ALR AMAX Amazon AMI Amstrad AOpen Apple ARBOR Argus Arima/Rioworks ASRock AST ASUS/ASmobile AT&T/NCR ATI Technologies ATLMultimedia Audiovox Averatec Axil Computer Barnes & Noble BaromTec BCM BenQ Biostar BlackBerry Blackmagic Design Braemer Brentwood Brother Canon Casio Cell Computing Chaintech Chaparral Network Circuit City Cisco ClearCube Clevo CMD Technology Compal Compaq (see HP) CompUSA Contax Creative CTX D-Link Data General Dataproducts Del Mar Medical Dell DFI Diamond Digi-Frame Digisette Digital Digitra Dopod DXG Dycam E-TEN Eiger Labs EliteGroup (ECS) eMachines Epox Epson Everex EVGA FIC Foxconn Fuji Fujitsu Garmin Gateway GE Getac Gigabyte GoPro Hitachi HP/Compaq HTC Huawei I-Mate IBM Innostream Intel Intergraph IronKey Iwill Jenoptik JVC KB Gear KDS Computers Kodak Konica Minolta Kyocera Largan Leica Lenovo Leo Lexmark LG Electronics Logitech Magellan Magnex Marantz Matrox MAXDATA MEDION Micron Microsoft Minolta (Konica) MIPS MiTAC Mitsubishi Motion Computing Motorola MSI Mustek Mylex NCD NEC Network Appliance Newisys NeXT Nikon Nilox Nintendo Nixvue Nokia Nortel/Bay Netwrk Nutanix O2 Okidata Olivetti Olympus Orange Oregon Scientific Packard Bell Palm Panasonic Pantech & Curitel PARS Pentax Philips/Magnavox Polaroid Portwell Praktica Pretec Psion QDI QMS (see Konica) QNAP Qtek Quanta Radius RCA Reynolds Ricoh Rollei Rozinn Sabio Sagem Salora Samsung Sanyo Sapphire SeaMicro Sendo SGI Sharp Shuttle Siemens Nixdorf Sigma SiPix SMaL Snap Appliance SoftLayer Solbourne Soltek SONICblue Sony SOTEC SOYO Spacelabs Medical Sun/Oracle Supermicro Synology T-Mobile Tadpole Tandy Targa Tatung Tektronix Texas Instruments Thomson TomTom Toshiba Toys R Us Trust Twinhead Tyan Computers UMAX Uniwide Vadem Via VideoChip ViewSonic Vivitar VK Mobile Vodafone Voice It VuPoint WinBook Wiwynn xcute Xerox Yashica Zenith ZOTAC Other ¿Qué sistema o dispositivo utiliza? 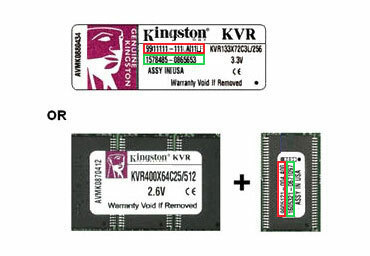 Se refiere al fabricante del ordenador, placa base u otro dispositivo que el que esté usando el producto Kingston (por ejemplo, Apple, Asus, Samsung, Toshiba, etc.) No hace referencia a la propia marca Kingston. Esto hace referencia al modelo de su ordenador, placa base u otros dispositivos como, por ejemplo, iPhone 5, Sabertooth Z87, Galaxy S4, Satellite S55-A5352, etc).